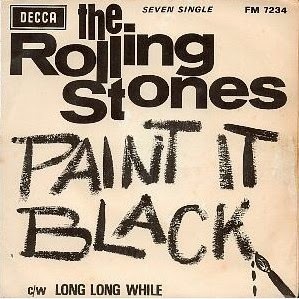 1) This song was chosen because yesterday was Black Friday, the traditional day of sales. Have you begun your Christmas shopping? 2) Are there any Thanksgiving leftovers in your refrigerator right now? 3) AAA says Thanksgiving is a big travel weekend. Did you venture far from home for your holiday dinner? 4) Keith Richards likes France but, alas, the French authorities haven't always been fond of him and his criminal record. Have you ever been to France? 5) Mick Jagger jokes that, to be polite to fellow hotel guests, he always finishes trashing his room by 10:00 PM. What kind of hotel/motel guest are you? Are you rockstar rambunctious, or are you quiet? Are you neat? Have you stolen any towels, bathrobes, etc.? 6) Mick Jagger got his financial savvy as a student at the London School of Economics. Are you good with money? 7) In the early 1990s, a then little-known actress named Angelina Jolie appeared in a Rolling Stones video ("Anybody Seen My Baby?"). Name an Angelina Jolie movie. 8) In the early 1960s, the Stones nearly avoided tragedy when their tour bus skidded off a bridge. Tell us about a near miss you're thankful for. 9) In 1966, when this week's song was popular, CBS telecast How the Grinch Stole Christmas for the first time. What's your favorite Dr. Seuss story? 1) This is the theme from a romantic comedy set against the backdrop of boxing. Sam admits she's not crazy about boxing. What about you? Do you enjoy boxing, martial arts or wrestling? 2) If you went to a dance club on a Saturday night in 1979 or 1980, you might well have danced to this. What are your plans for this Saturday night? 3) Gilda Radner was one of the original Saturday Night Live performers and in 1979, she parlayed her TV popularity into her own one-woman show on Broadway. Who is your alltime favorite SNL cast member? 4) Sally Little and Nancy Lopez were at the top of the LPGA in 1979. Do you golf? 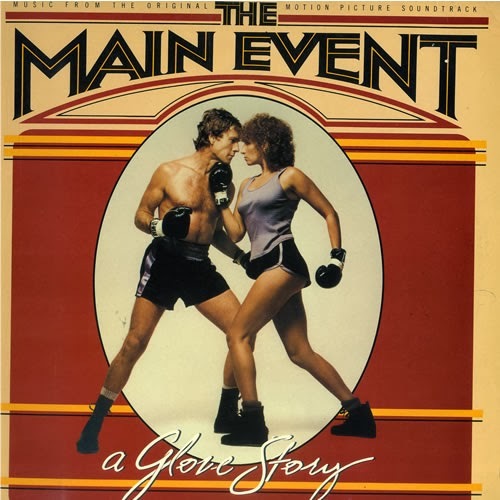 5) The movie The Main Event co-starred Ryan O'Neal. He is better known for Love Story, and saying the line, "Love means never having to say you're sorry." When did you last apologize? 6) O'Neal got his big break on the nighttime soap opera, Peyton Place. He played Rodney Harrington, the handsome golden boy that all the girls dreamed of dating. Tell us about your big high school crush. 7) In researching this week's Saturday 9, Sam discovered that The Main Event is a popular name for sports bars all across the country. Do you enjoy sitting at the bar or do you look for a booth or table? 8) The Mane Event was the salon Sam went to for years. She switched when it got too hard to get Saturday appointments. As a consumer, what's more important to you -- convenience or price? 9) More than 50 years after her first million-selling album, Streisand recently had a #1 hit with her current CD, Partners. What's the last song you bought/downloaded? 1) This song is body positive. In that spirit: What physical feature would you never change, no matter what? 2) The lyrics mention how often the media uses Photoshop to present a more ideal female form. Is Photoshop on your computer? If so, do you know how to use it? 3) She also sings about Mattel's Barbie doll. According to Toys R Us, this year's best-selling doll is not Barbie but Disney's Elsa. Have you seen Frozen? 4) In the video, Meghan dances merrily around her twin bed with its pink head/footboard. Describe your bed to us. 5) Ms. Trainor began writing songs when she was 11. Would you find it easier to write lyrics or music? 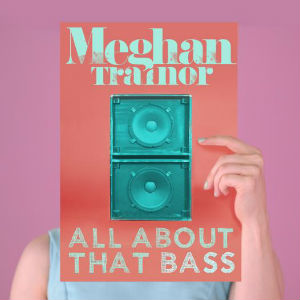 6) Meghan recently performed "All About that Bass" on the CMAs with country star Miranda Lambert. Who is your favorite country singer? 7) In September, Meghan had to cancel several concerts because of throat trouble. Are you battling a cold, cough or sore throat this morning? 8) Meghan was born in Nantucket, MA. "Nantucket" is an Algonquian name that means, "faraway island." How did your town get its name/what does it mean? 9) According to the National Weather Service, between rain and snow, winter brings Nantucket the most precipitation it sees all year. How is the weather where you are today? 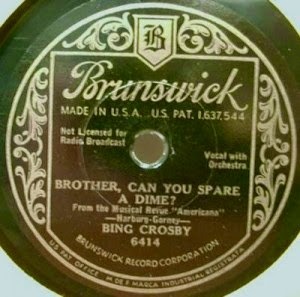 1) Bing Crosby wants a dime for food. Adjusted for inflation, 10¢ in 1932 is now worth $1.69. Can you think of anything you could buy at the grocery story with $1.69? 2) This song was originally released as a 78 rpm record. Have you ever seen a 78? 3) In 1932, Jean Harlow was Hollywood's glamor queen. Who do you think sets the standard for glamor today? 4) One of 1932's best selling books was Agatha Christie's Peril at End House. She remains popular today. Are you familiar with her work? 5) This week's featured artist, Bing Crosby, worked as a caddy when he was 12 and continued to enjoy time on the golf course his entire life. What type of exercise do you do most often? 6) Bing had twin sons, Dennis and Philip. Many people believe that the propensity for twins is hereditary. Are there twins in your family? 7) Bing's daughter, Mary Crosby, has her own place in TV history. Do you know why? 8) In the mid 1970s, Crosby and his family did commercials for Minute Maid. Do you have any orange juice in your refrigerator? 9) Now for something completely random: Do you like beef jerky?